I am so sorry for the recent radio silence, but after a week of illness always comes a week of crazy catching up (and in this case an exam as well). But. 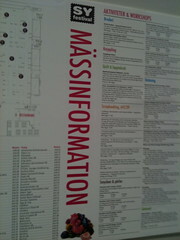 Last Saturday, I managed to get out of the house, jump on the commute and head for Stockholm International Fair and the biannual Syfestivalen. 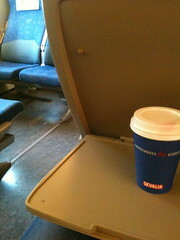 Drinking my tea on the train. Are we there yet? 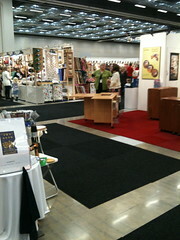 This is basically the biggest crafts fair in Sweden. And, off course – I love it! I went alone this year, and that is not actually all bad, because I can obsess at the booth I love the most, for as long as I like, AND I can have a half-hour long conversation with the Husqvarna Viking guy without anyone bothering me. Oh, joy! Apart from wandering around and just looking, touching and smelling(!) 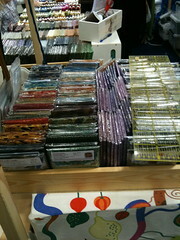 all the lovely yarns, fabrics, notions, beads etc. I did some actual shopping as well. My strategy when I visit the fair is to bring with me a certain amount of cash, and when all of that is gone – I go home. No cards or other options. That would be devastating for my economy;-). Are the quilters secretly taking over the world? 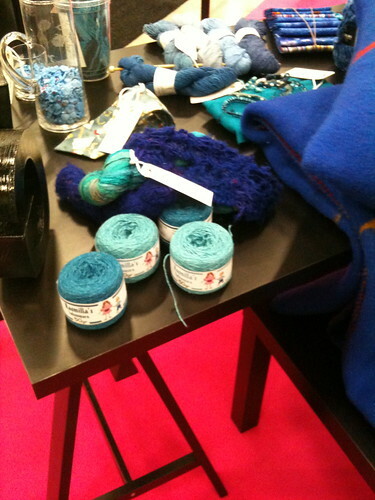 Recycled wool yarn from Ullcentrum. I bought the one on the left front, titled Krusbär (gooseberries). 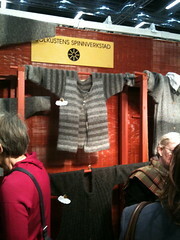 We Scandinavians are proud knitters and crocheters, and off course, there were a lot of gorgeous wool and yarns. My personal favorite is the lovely ladies of Ullcentrum. 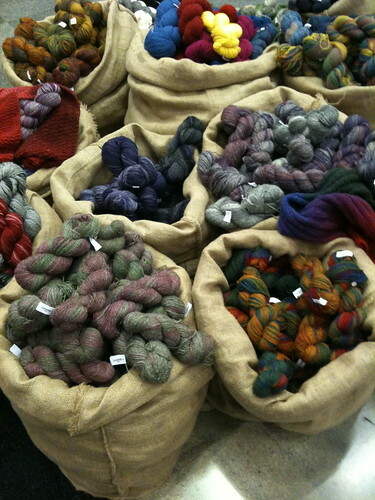 They recycle and re-spin left-over wool from the industry. 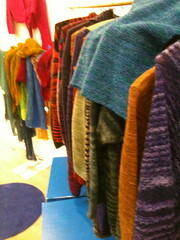 And the colors are wonderful! 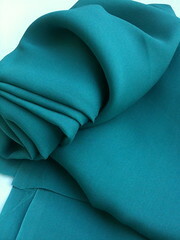 I got myself some fabric too. Off course. From the always service minded and knowledgeable people of Simbra Siden (they trade exclusively with silk fabric) I got myself a decent amount of crepe de georgette for a Sencha. 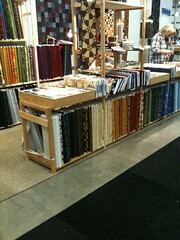 And from the equally wonderful Lindbo Textil & Handtverk, I bought some gorgeous wool fabric. It´s a blend of 70% wool and 30% viscose (rayon) and it has a lovely shine (that unfortunately don´t show too well in the pic). 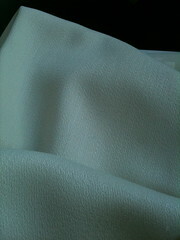 My initial plan is to make a little bolero out of it, but we´ll see. 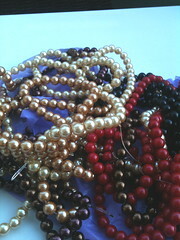 From left to right: Crepe de georgette, faux pearls and wool blend. Throw in some notions and tools, and a whole lot of faux pearls, and my wallet was empty. I left the fair with a content smile on my face.